The perfect holiday cottage set within the charming Victorian village of Ballater in Royal Deeside. A spacious and comfortable home with easy access to Ballater village, golf club, walking straight from the door and great position to explore area. Cornellan is a delightful 2 bedroom holiday cottage that will feel like your home from home, set in a quiet square within the charming Victorian village of Ballater in Royal Deeside. A very spacious and comfortable cottage with everything you need to enjoy a memorable stay. Enjoy time in the spacious lounge area in front of the log fire, or open out the french windows to enjoy breakfast al fresco or to while away the hours and enjoy a sunny afternoon within the privacy of our enclosed courtyard. The cottage is well equipped and furnished to a high standard, and enjoys a peaceful location very close to the River Dee. 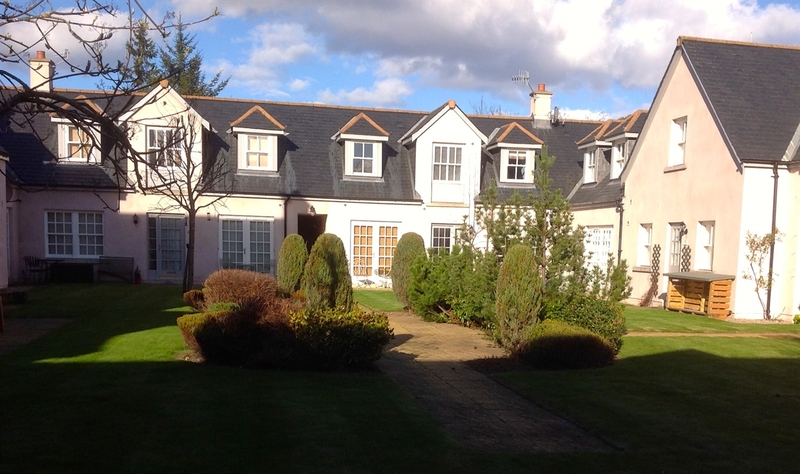 Only a short walk to the town centre of Ballater, with great walking straight from the front door and a short distance from the golf club. The cottage is well positioned, with allocated parking space, and provides an ideal base to explore the surrounding areas including Braemar, Balmoral, Glenshee and the Cairngorms.